The House That Ag Built: Vegetarians ARE Healthier . . . right? To answer this question, let me tell you a little story. Growing up, my dad was the cook. He was “creative” in the kitchen. We ate frog legs (that he gigged the night before), cow tongue, pig’s feet, and other “creative” meat options. My neighbor was a hunter so we ate rabbit, deer, and whatever else he brought home. I am sure we ate “normal” meat also, but I only remember having to choke down the weird stuff. When I was in 5th grade, I decided I didn’t like the taste of meat. One day I stopped eating meat. My parents tried to force me – but I was stubborn. Then they tried the 'she’ll eat it when she gets hungry enough' approach. I guess I never got hungry enough. We always had a pretty balanced meal so I would just eat more of the side dishes. I do need to mention that I am a very polite person (thanks mom) so I would never refuse to eat a meal that was made by a friend’s parents just because it contained meat. I would politely eat the entire meal and then tell them that is was very good. I also need to add an important part of this whole not eating meat thing – during this time I supported animal agriculture (and still do). I raised meat birds in 4-H and market lambs in FFA. My brother raised market pigs and I watched a few get slaughtered. I was on the meat judging team in high school (because my sister was and she was my ride home). I did NOT stop eating meat because I believed animals were treated poorly – I knew animals were treated well by farmers. I think I was a healthy kid and teenager. I was a healthy weight. I was active and happy. I went through college, got my credential, started my first teaching job, and started grad school. I was tired! I thought I was tired because I had a full time job, was doing extra work on top of that to clear my credential (BTSA), was going to grad school, and reading the research (on ag education at the elementary level and its place in the school system – which, by the way is not abundant) for my thesis. I would come home on days I didn’t have class and literally fall right asleep. I was not just tired; I was exhausted. I finished BTSA, wrote my thesis, finished grad school, and survived my first year of teaching. I was still tired - still exhausted. I began to think it was my diet. I was eating healthy – fruits, vegetables, eggs, dairy, grains – the only thing missing was meat. So, I started eating meat. My hunter boyfriend was excited and my cattle and pork-raising sister was exhilarated (which, might be a bit of an understatement). I noticed a difference in my energy levels in less than a week. I wasn’t exhausted at the end of the day. I was still tired (after all teaching does take a lot out of you everyday) but not nearly as tired as I had been. I was less cranky at the end of the school day (nobody likes a cranky teacher) and was much more productive after school. I could come home and cook dinner instead of lay on the couch and try not to fall asleep. I started eating less because my meals made me fuller for longer. This sounds weird but I was happier too. So, are vegetarians healthier? NO! Meat eaters are healthier. Now, this may not be the case for everyone but in my experience I am much healthier and happier than when I didn’t eat meat. Would love to read your input on this! I discovered your blog from Jent's from the Real Farmwives and I love this post. As beef producers this makes me happy! It was also very informative as is everything else I have read on your blog. Thanks for the post about cooking Filet Mignon. We always get it when he have our beef butchered,but I never know what to do with it! I believe that you could eat a healthy diet as a vegetarian and as a meat eater. Eating fast food every day-- whether a big mac or a large order of fries-- is unhealthy. I don't think that it is fair to judge a diet as "healthy" or "unhealthy" based on one component alone. For me personally, I feel that a meatless diet is better. I have experienced countless benefits: I have more energy and more money, as meatless protein sources are cheaper. I have tried wholesome foods that I otherwise would not have, given that meat used to be a primary protein source. Without trying, I have lost weight and lowered my cholesterol and blood pressure. I feel better about not supporting factory farming and animal abuse. But, again, some may find these results with meat. It is not so much as choosing to eat or not eat meat as it is choosing to eat fresh, whole foods. I do feel that this is a very personal decision, and I am happy that you found what works the best for you. I also applaud you for choosing ethically raised animals! I'm sure that you don't know much different since you grew up with that, but it is certainly not the norm where I am from. 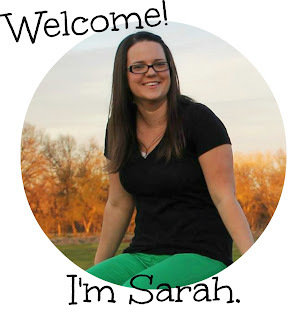 Sarah - Thanks for your comment! You are right about choosing real food instead of fast food. Real food is healthier for us. What you eat is a personal choice - that is for sure and I am glad that you found what works for you! I appreciate another perspective but the sentence "I feel better about not supporting factory farming and animal abuse." REALLY bothers me - What do you mean by that? Do you think that animals are rasied at factories and that animal abuse is the norm in animal agriculuture? So sorry, I absolutely did not mean to offend at all. I know that farms exist that treat animals humanely- farming animals in a way that allows them to follow their natural behaviors (grazing, etc.). However, I also know that many meat products in the supermarket are from factory farms that do not treat animals humanely. I am currently reading Michael Pollan's The Omnivore's Dilemma, and as I educate myself with some of the practices regarding raising animals for slaughter, I am absolutely appalled. (I am not in any means implying that these are the practices that you encounter.) Preventing cows from grazing and feeding them a diet of corn solely because it is in surplus, in addition to cramming them in close quarters, absolutely breaks my heart, and that is just the start of it. I am not against eating animals, but I feel that they should be treated with respect while they are alive. When meat is treated soley as a commodity, it can sometimes be difficult to remember that there is a living being that has to suffer just to make a few dollars. I am sure that the animals that I was eating (from the supermarket) were raised in this manner, and that is what I meant by my comment. I do not have easy access to meat from ethically raised animals, so I choose to not eat it. Thanks so much for taking the time to comment back! I have not read The Omnivore's Dilema so I can't speak to that. I would like to read it - in fact I will find it at the library and request it right now! Thanks. I am not sure where you live, but you should check out Local Harvest. It is a site where you can put in your location (in the US) and find producers near you. You can find everything from meat to seeds to fiber to farmer's markets to vegetables. It is a really great site! If you want to find local meat (or even meat that can be shipped to your door) that is raised in the manner you feel comfortable with, that site is a great way to find it! I will also be doing a post in the future about factory farming, so keep following and stay tuned for that. Lastly, I want to say that I really respect the fact that you are not attacking other's choices to eat what they eat (be it supermarket beef or chicken grown in their backyard). There are so many people out there that want everyone to make the choices they have made and don't care to hear other options. You are not one of those people - so thank you! Take a look at the books Paleo Solution and 4 Hour Body. Both emphasize the importance of a high protein diet.